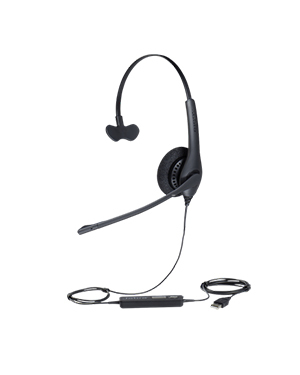 This Jabra BIZ 1500 QD Mono Headset is an entry-level and affordable professional headset that is structured for the cost-effective solution of contact centres worldwide. It is integrated with the necessary technologies and features that could support the comfort and quality needs of professional customer experience. Jabra BIZ 1500 QD Mono Headset is able to provide users with clearer calls through the cancelling of unwanted background noises so that they can focus on the voice of the callers. 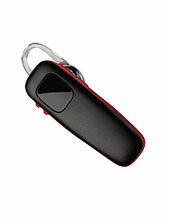 The ear forms are also incredible comfortable, which allows users to comfortably use it for an entire day. Find out more information regarding this product by calling our company hotline at Australia wide 1300 131 133! 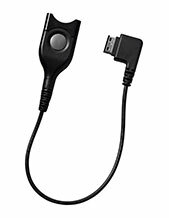 Jabra is a well-know developer, manufacturer, and distributed of corded and wireless headsets that can be connected to all sorts of devices and used in various industries. The company does not stop with just headsets and headphones. Since some of the audio technologies can be applied in other industries, the company has even involved itself in the development and manufacture of in-ear heart rate monitors. And the company aims to go further than that. A subsidiary of GN Netcom, Jabra is a popular name in today’s market linked to quality headset. It is is responsible for the development of a lot of ear-radio and ear-microphone technologies and solutions. The largest online store in Australia today, Headsetsonline Pty Ltd offers one of the most extensive sound and audio product portfolios in the market. This portfolio offers brand new, second-hand, and refurbished products and solutions, which is how it can easily cater to individuals and groups, including SoHos, SMEs, large companies, and government organisations. 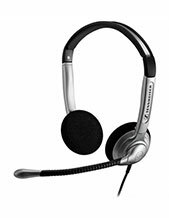 HeadsetsOnline only delivers products and solutions that pass Australian standards. With all warranties covered, the company makes sure that every product it offers are of high quality and second to none. This is further ensured by the company’s strict product testing and evaluation process. The company takes care of supplying and wholesaling headsets and headphones to companies and organisations that would need them. With its background as a department of a popular supplier of the said products since the year 1998, it has become an expert in providing what customers exactly need based on their situations and preferences.